OUR SPRING SEASONAL MENU IS NOW AVAILABLE… WE ARE OFFERING SPRING SEASONAL FOOD AND COCKTAILS FOR A LIMITED TIME. DON’T MISS OUT, STOP IN TODAY AND CHECK OUT THESE AMAZING ITEMS. From our fresh meat ground in-house twice daily and served on freshly baked buns from local bakeries, to our house-made pies, we make sure each bite makes you want to come back for more. NEED SOMETHING TO HELP GET YOU OVER HUMP DAY? JOIN US FOR 1/2 PRICE BOTTLES OF WINE ALL DAY EVERY WEDNESDAY. Our USDA Certified Angus Beef and American-Style Kobe Beef are ground in-house twice daily. We feature over 25 carefully selected wines by the glass & bottle, local & craft brews and hand-crafted cocktails. 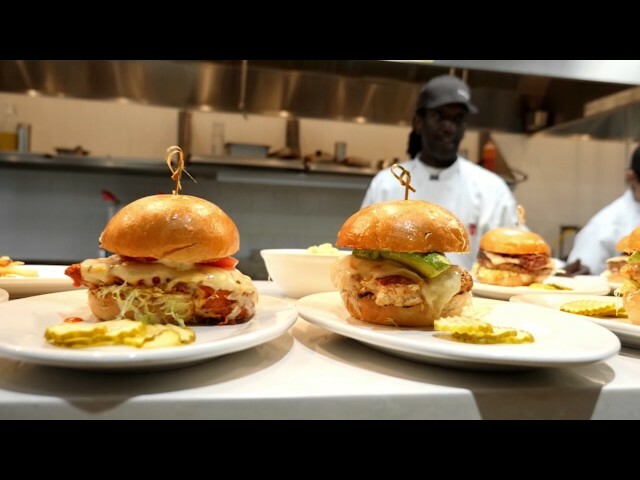 From hand cut fries, to house made salad dressing and pies, our chefs work hard to make each bite memorable. LOYALTY IS REWARDING SIGN UP FOR OUR VIP CLUB AND EARN POINTS FOR YOUR VISITS, PLUS A FREE SHAKE ON YOUR BIRTHDAY.